Me sonrío al leerte, hada pequeñita que jugó a ser bruja. No voy a decir: -Te lo dije, te lo dije, pero ¿recuerdas cuánto te advertí sobre tu afán de meter la naricita en los infiernos? 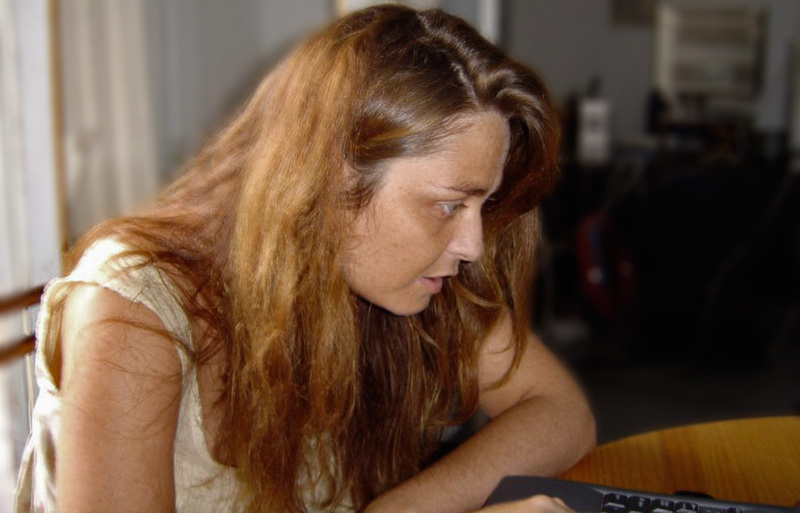 Hi, I'm Mercè Molist, freelance journalist since 1987. In 1995 I discovered the Internet and now I write about technology and security. I work and have worked with the best Spanish and Catalan media, that is why in this webpage you will find a lot of material in both languages. I love hacker culture: here you'll find several projects that have been born from this love. In addition, I have written books and given dozens of lectures about it. You can find all this on this website. If you like my work and want to work with me, check my Linkedin profile or contact directly, you can find my email adress and social networks' profiles on the CONTACTE section of this website. 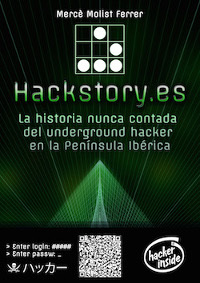 La historia nunca contada del underground hacker en la Península Ibérica"
Verbatim copying, translation and distribution of this entire web is permitted in any digital and no commercial medium, provide this notice is preserved.